Investigates legal and ethical issues and problems encountered by administrators of health care facilities and programs. Topics discussed include government regulation of health care providers; patient consent to and the refusal of treatment; reproduction issues; privacy and confidentiality; and mental health issues. Students analyze legislation, ethicists’ commentary, and case law in medicine and healthcare through research and class participation. Application of financial theories, concepts, and models to health services systems with an emphasis on the role of financial principles and analysis to decision-making. Focuses on strategic financial planning, contract management, and the art of negotiation that promotes the integration of finance and managed care structures, such as health maintenance organizations (HMOs), preferred provider organizations (PPOs), and independent practice associations (IPAs). Reviews activities associated with managing personnel unique to health services industry. Discussed in depth are such personnel office functions as recruiting, selecting, training, motivating, leading, and evaluating staff and credentials. Also studied are reimbursement structures, as well as practical operations necessary to manage a diverse and professional operations staff. Applies management principles to identify, evaluate, and implement health services information systems. Discusses the role of information technology and management information systems in the delivery of health services. 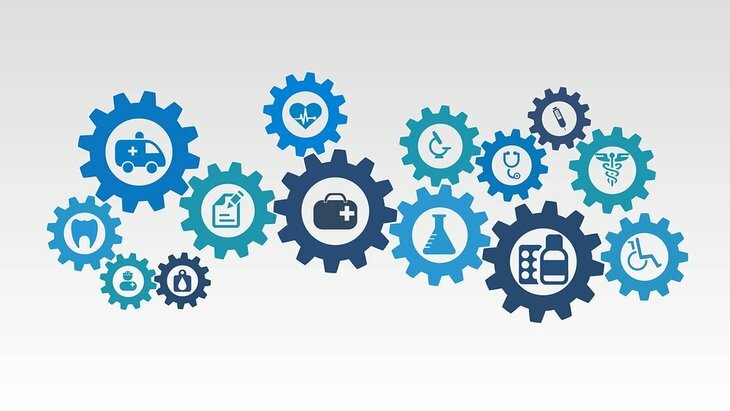 Emphasis upon how to organize and evaluate effective and efficient computer systems to enhance the functioning of hospitals, physician practices, integrated service delivery systems, managed care organizations and third-party payers. This is a specialized course dealing with strategic issues related to the marketing of healthcare services. Industry and environmental factors that affect healthcare sector, such as growth rate, shifting client demographics, globalization, technological advances, consolidation among providers, and increasingly demanding customers will be discussed. Topics include understanding the roles that health service providers play in assuring a quality service encounter, how the process of providing the service impacts perceived service quality, and how servicescape factors influence consumer choice in service providers.